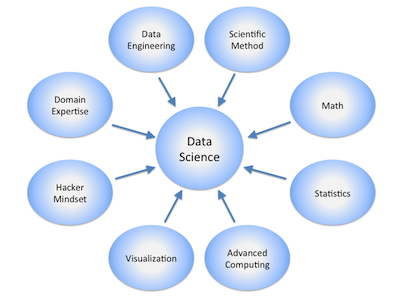 Want to learn more about data science? Want to update yourself on the latest research and trends in the space? If you want to do this, think about attending a data science event like a meet-up or a conference in the near future. You don’t have to go to every conference or meet-up but do attend those that interest you the most and will provide maximum value to you, personally or professionally. Conferences particularly provide you with a great experience to meet people with similar interests, learn new things, listen to industry leaders in different workshops and speaking sessions as well as enable you to enhance your critical thinking skills in the data science space. ODSC East 2018 strives to do just this once again in Boston. But first, we want to share some details from a recent aggregation of past conference attendance statistics. Based on our data, we discovered the various professions who mostly attend conferences, the most popular tools and programming languages, the most popular project types that researchers, developers and others are working on and more. 1 out of every 3 people at the conferences work in data science or data analysis roles. 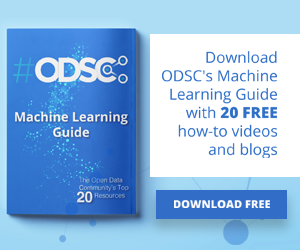 This is good news as ODSC East is a conference centered around open data science. You’re in the right place. 1 in 5 people at the conferences work in the software industry. The second majority of people work in academia either as professors, researchers or students. 5% of conference attendees are full-time students and these numbers are slowly growing conference to conference. Conference attendees represent a wide range of different industries: finance, healthcare, education, manufacturing, retail, and many others. What are people working on who attend the conference? Most attendees are focused on projects and research related to machine learning, data visualization, and predictive analytics. Other research and project topics include big data, data engineering, deep learning, recommendation systems, and other related topics. Conference attendees are digital polyglots. Conference attendees know languages such as Python (~75% of attendees), SQL (~50%), and R (~40%). C/C++, SAS, Matlab are also very popular languages to learn. A minority declare that they do not program. Fewer people attending know Java, Scala, Stan, Go, and Julia. Most of the attendees use Jupyter Notebooks, and libraries such as pandas, scikit-learn, matplotlib, ggplot. Ranking from most often used to least used, companies and professionals implement the following models to aid in solving business issues: regression and classification models, clustering, decision trees, time series, cross validation and model fitting and neural networks. People who attend these conferences shares several characteristics in common from the different programming languages they know to the areas of focus in their research. 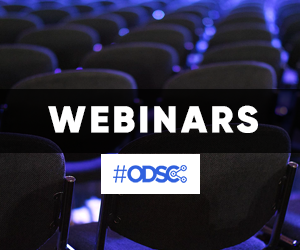 But another characteristic stands out that statistics and regression models do not usually catch: ODSC attendees strive to improve themselves. They want to be better at what they do and they see conferences such as ODSC’s conference series as a means to do so. ODSC East 2018 is quickly coming up. Join like-minded individuals and companies in Boston May 1st-4th, 2018. Sign up and enjoy a 4-day conference of tutorials, talks, meet-the-speakers, workshops and of course, shared values and insights in the open data science space.